The smartphone market passed an important milestone in 2013 when worldwide shipments surpassed the 1 billion mark for the first time, driven by Android and iOS. According to the International Data Corporation (IDC) Worldwide Quarterly Mobile Phone Tracker, Android and iOS accounted for 95.7% of all smartphone shipments in the fourth quarter of 2013 (4Q13), and for 93.8% of all smartphone shipments for the year. This marked a 4.5-point increase from the 91.2% share that the two platforms shared in 4Q12, and a 6.1-point increase from the 87.7% share they had in 2012. “Clearly, there was strong end-user demand for both Android and iOS products during the quarter and the year,” says Ramon Llamas, Research Manager with IDC’s Mobile Phone team. While smartphone market growth remained strong in 2013, it should be noted that the era of double-digit annual growth has only a few years remaining. 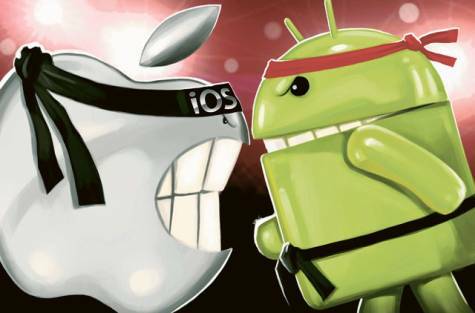 Android finished the year where it began: as the leader in the smartphone operating system race. Samsung led all Android vendors with a commanding 39.5% share of shipments for the year. Worth watching is a crowded list of vendors jockeying for position in 2014, including Huawei, LG, Lenovo, Coolpad, and Sony. Windows Phone posted the largest increase for both the quarter (46.7%) and the year (90.9%), with each nearly doubling the growth of the overall market. Nokia easily led all vendors with 89.3% market share, a testament to its expanding portfolio that addressed entry-level all the way up to large-screen smartphones. What remains to be seen in 2014 is how Microsoft’s acquisition of Nokia’s smart devices will propel volumes higher. BlackBerry was the only operating system to realize negative year-over-year change both for the quarter (-77.0%) and for the year (-40.9%). Moreover, its legacy BB7 outpaced BB10 towards the end of the year, definitely not the results that the company had hoped for when it released BB10 in January.